Originally utilized in the 19th century, silver fillings became the very best remedy for cavities. Although they were better compared to older treatments, silver fillings nevertheless had plenty of issues. Though several men and women are concerned about mercury poising caused by their old fillings, the unsightly look of silver fillings is the principal reason many patients in Pearland, TX wish to eliminate their older fillings. To enhance the health and look of your smile, Highland Dental Care and Ortho. replaces silver fillings using contemporary tooth-colored fillings. This is only one of many cosmetic dentistry procedures that our skilled group of dental professionals offer. Swapping metal fillings with tooth-colored fillings can be carried out as a single procedure or with other procedures, for example, teeth whitening or dental veneers, as a complete smile makeover. If you're worried about your silver fillings, then keep reading to discover the issues with amalgam fillings, the benefits of tooth-colored fillings, and also how to swap your metal fillings to get a more attractive grin. WHAT'S IN A SILVER FILLING? Silver fillings were usually created using an amalgam (mix) of metals, such as silver, mercury, tin, copper, zinc, and much more. Mercury is a significant part of the amalgam because it makes the mixture flexible so that it can be put into the irregular texture of a tooth. Until recently, the majority of individuals who had a cavity, got a silver filling to seal the decayed enamel. But there continue to be many issues with this sort of filling prompting people to look at switching them with contemporary tooth-colored fillings. Some people might find they have an allergy to the materials in their fillings. Although uncommon, a reaction to the metal in silver fillings could be a serious problem.??????? Before a silver filling may be used, a lot of tooth has to be filed away. This leaves your tooth thinner and more prone to cavities.??????? When silver fillings were first used, the total amount of mercury in the amalgam could be sufficient to cause poisoning. But this was soon adjusted and is very seldom a problem anymore. ?????? ?Although mercury leaking out of a filling is infrequent, it may occur and get through the placenta. For safety, dentists don't offer silver fillings if a patient is pregnant. In comparison to composite resin, metal fillings don't bond well with teeth. This permits germs to get beneath the metal and become a cavity.??????? An amalgam tattoo takes place when the mercury leaks into the gums or tooth socket. Though an amalgam tattoo is usually not an issue, it can result in an unsightly gray or blue stain around the tooth. The most frequent reason people wish to have their old fillings removed is they do not want visible fillings. Although silver fillings are generally used on the molars, they may be seen once you laugh or yawn.??????? WHAT'S IN A MODERN FILLING? Whenever you've got a cavity, then your dentist may use a tooth-colored filling to fix and protect your tooth. A modern filling is made with a composite resin substance to seal your enamel once the decayed area is cleaned away. Colored to blend with your other teeth, a composite resin filling keeps the gorgeous appearance of your grin. Along with be used to treat cavities, composite resin may also be utilized in a smile makeover. Called cosmetic bonding, the composite resin will be skillfully applied to correct cracks, mask stains, and reduce small gaps between teeth. Because composite resin may be colored to blend with your smile, modern fillings may be placed on both the back and front teeth to get a smooth outcome. Modern fillings help you to grin and laugh without feeling self-conscious. A small quantity of tooth has to be taken off before a composite resin filling is applied. In comparison to amalgam fillings, modern fillings stick to the tooth for a better protection and strength. With appropriate maintenance, a modern filling can help your tooth for quite a while. At your dental examination, your dentist will assess the wear of your filling and inform you whether it has to be replaced. In case you choose to trade your old fillings, then schedule a consultation with a board-certified dentist in Pearland, TX to make your custom program. 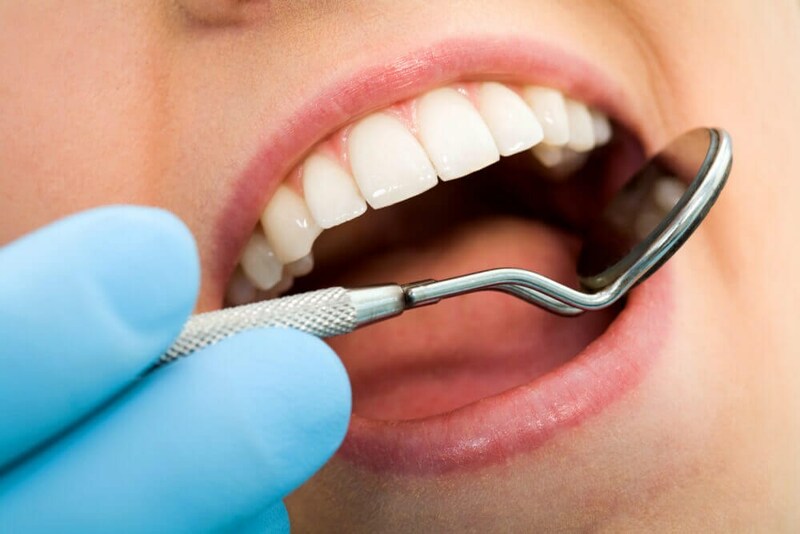 At Highland Dental Care and Ortho., we provide various degrees of sedation to help keep you calm and comfortable throughout your treatment, even in the event that you've got dental anxieties or fears. Once your mouth has been numbed and any sedation methods are administered, a suction device plus other specific tools are utilized to eliminate the old metal filling(s). Then, your tooth is completely cleaned and dried so the new filling can be put on. The new filling is then hardened before it's polished to an even finish. Before you go home, your dentist will speak with you about how to care for you composite resin filling(s). To steer clear of more cavities and other issues, you should create a home oral hygiene regimen with flossing and brushing at least two times every day. If you want assistance with technique or you would like product recommendations, then ask our team at your cleaning. Also, you should visit a dentist at least twice annually to get an examination and cleanings. In your dental health examination, your dentist may assess the condition of your filling(s) to find out whether they have to get re-done. In case you've got silver fillings and you would love to replace them, contact our practice in Pearland, TX. With a skilled team of professionals, Highland Dental Care and Ortho. may trade your old, metal fillings using contemporary composite resin fillings to get a more appealing look. We could also talk about different cosmetic procedures we provide that may be a part of your smile makeover program. We enjoy assisting our Pearland, TX patients reveal their healthiest and best-looking grin through innovative care and procedures.